Day and Night Creams: Andalou, Life Flo, Own Beauty, Reviva, Weleda! • Pomegranate Firming Day Cream: Pomegranate Firming Day Cream with organic Pomegranate seed oil and golden Millet seeds to help reduce wrinkles, improve your skin's elasticity and protect it from harmful damaging environmental elements. Blended with organic Argan Kernel oil, rich in essential fatty acids, and organic Jojoba Seed oil deeply nurture aging skin. Pomegranate Firming Day Cream helps firm your skin, glowing with a new beauty that lasts and lasts. 1 oz. ORDER NOW! Ingredients: Water (Aqua), Sesamum Indicum (Sesame) Seed Oil, Alcohol, Simmondsia Chinensis (Jojoba) Seed Oil, Glyceryl Stearate SE, Macadamia Ternifolia Seed Oil, Lysolecithin, Glycerin, Helianthus Annuus (Sunflower) Seed Oil, Punica Granatum (Pomegranate) Seed Oil, Argania Spinosa Kernel Oil, Butyrospermum Parkii (Shea) Butter, Olea Europaea (Olive) Fruit Oil Unsaponisables, Panicum Miliaceum (Millet) Seed Extract, Helianthus Annuus (Sunflower) Petal Extract, Tapioca Starch, Xanthan Gum, Fragrance (Parfum), Limonene, Linalool, Geraniol, Citral, Coumarin, Benzyl Benzoate. • Pomegranate Firming Night Cream: Pomegranate Firming Night Cream delivers your skin an extra boost during the night when the repair processes are speeded. Skin gets thorough moisture and nurture throughout the night with organic Borage Seed Oil, organic Jojoba Seed Oil and organic Macadamia Nut Oil. Blended with organic Pomegranate Seed Oil and organic Argan Oil, rich in antioxidant and essential fatty acids, vigorously promote skin renewal. After nightly restoration, Pomegranate Firming Night Cream helps skin firm, rejuvenated and ready for the day. 1 oz. ORDER NOW! Ingredients: Water (Aqua), Sesamum Indicum (Sesame) Seed Oil, Helianthus Annuus (Sunflower) Seed Oil, Alcohol, Butyrospermum Parkii (Shea) Butter, Glyceryl Stearate SE, Triticum Vulgare (Wheat) Germ Oil, Punica Granatum (Pomegranate) Seed Oil, Borago Officinalis Seed Oil, Argania Spinosa Kernel Oil, Panicum Miliaceum (Millet) Seed Extract, Helianthus Annuus (Sunflower) Petal Extract, Tapioca Starch, Xanthan Gum, Fragrance (Parfum), Limonene, Linalool, Geraniol, Citral, Coumarin. • Iris Moisture Balancing Hydrating Day Cream: Iris root extract found in the Iris Hydrating Day Cream helps very dry skin get daytime strength and protection, and balance your skin's natural moisture. Made with Organic Shea Butter helps protect your naturally balanced skin against harmful environmental elements when you use the Iris Hydrating Day Cream. Organic Cocoa Seed Butter nurtures your skin into supple perfection. Your skin appears with a glowing, hydrated softness you can see and feel. 1 oz. ORDER NOW! Ingredients: Water (Aqua), Simmondsia Chinensis (Jojoba) Seed Oil, Hamamelis Virginiana (Witch Hazel) Distillate, Alcohol, Glycerin, Butyrospermum Parkii (Shea) Butter, Theobroma Cacao (Cocoa) Seed Butter, Magnesium Aluminum Silicate, Lysolecithin, Beeswax (Cera Flava), Hydrolyzed Beeswax, Iris Germanica Root Extract, Xanthan Gum, Fragrance (Parfum), Limonene, Linalool, Citronellol, Geraniol, Citral, Eugenol. • Iris Hydrating Night Cream: This dreamy nighttime all natural face Iris Hydrating Night Cream helps your skin is richly moisturized and balanced. This all natural face cream works with your skin to help it achieve its natural balance. Helps invigorate the balance of the natural moisture with Biodynamic® iris root extract, leaving your skin feeling supple and strong. Made with calming, Organic Shea Butter to deeply hydrate and soften skin, and organic Chamomile Flower extract to soothe minor inflammation. Nourishing Iris Hydrating Night Cream helps reduce the stresses of your day with the healing nutrition your skin needs at night. 1 oz. ORDER NOW! Ingredients: Water (Aqua), Prunus Amygdalus Dulcis (Sweet Almond) Oil, Alcohol, Butyrospermum Parkii (Shea) Butter, Theobroma Cacao (Cocoa) Seed Butter, Glyceryl Stearate SE, Glycerin, Hydrolyzed Beeswax, Iris Germanica Root Extract, Chamomilla Recutita Matricaria (Chamomile) Flower Extract, Calendula Officinalis (Calendula) Flower Extract, Magnesium Aluminum Silicate, Xanthan Gum, Fragrance (Parfum), Limonene, Linalool, Citronellol, Benzyl Alcohol, Geraniol, Citral, Eugenol, Farnesol. FACE CARE: Pomergranate Firming Night Cream, 1 oz. FACE CARE: Iris Moisture Balancing Hydrating Day Cream, 1 oz. FACE CARE: Iris Hydrating Night Cream, 1 oz. • Wild Rose Smoothing Day Cream: Revitalizing Wild Rose Smoothing Day Cream helps skin invigorate and nurture with the antioxidants and essential fatty acids found in organic Rosehip Seed Oil. Peach Kernel oil helps protect your skin by fortifying and supporting its natural barrier against moisture loss. Wild Rose Smoothing Day Cream helps maintain elasticity and vitality of your skin for a smooth, supple and glowing look. Your senses are complemented with the delicate fragrance of fresh organic Roses. 1 oz. ORDER NOW! Ingredients: Water (Aqua), Prunus Persica (Peach) Kernel Oil, Prunus Amygdalus Dulcis (Sweet Almond) Oil, Alcohol, Glyceryl Stearate SE, Rosa Moschata (Rosehip) Seed Oil, Hydrolyzed Beeswax, Lysolecithin, Sedum Purpureum (Orpine) Extract, Equisetum Arvense (Horsetail) Extract, Commiphora Myrrha (Myrrh) Extract, Xanthan Gum, Fragrance (Parfum), Limonene, Linalool, Citronellol, Benzyl Alcohol, Geraniol, Citral, Eugenol, Farnesol. • Wild Rose Smoothing Night Cream: Organic Rosehip Seed oil in the Wild Rose Smoothing Night Cream helps nurture and stimulate the renewal of youthful, healthy skin. Made with organic Olive Oil to provide deep, invigorating moisture and balance where your skin needs it most. Evening Primrose oil supports the natural renewal of your skin for improved elasticity and exfoliating dry roughness and first lines. With this Wild Rose Smoothing Night Cream, your skin wakes up relaxed with balanced moisture and a renewed glow. 1 oz. ORDER NOW! FACE CARE: Wild Rose Smoothing Night Cream, 1 oz. • 1000 Roses Beautiful Day Cream: The satin soft 1000 Roses Beautiful Day Cream with Alpine Rose Stem Cells helps deliver intense cellular support to calm, nurture, and restore sensitive skin. Made with Pomegranate to tone and tighten, Hyaluronic Acid and Aloe Vera helps recover skin's hydro lipid barrier for a naturally beautiful complexion. For Delicate & Dry Skin. Dermatologist Tested. 1.7 oz. ORDER NOW! Ingredients:Aloe Barbadensis Juice, Vegetable Glycerin, Cetearyl Alcohol, Biosaccharide Gum, Allantoin, Olive Squalane, Rosa Canina (Rosehip) and Punica Granatum (Pomegranate) Oils, PhytoCellTec (Alpine Rose, Malus Domestsica, Solar Vitis) and BioActive 8 Berry Complex, Soothing Complex: [Hyaluronic Acid, Magnolia Officinalis Bark, Phoenix Dactylifera (Date) Leaf Cell and Boswellia Serrata (Boswellin) Extracts], Panthenol (Pro-Vitamin B5), Ethylhexyl Palmitate, Lecithin, Zea Mays (Corn) Starch, Grapeseed Polyphenols, Rosa Damascena (Rose) Distillate, Vaccinium Macrocarpon (Cranberry) Juice, Camellia Sinensis (White Tea) and Aspalathus Linearis (Rooibos) Extracts, Tocopherol (Vitamin E), Phenethyl Alcohol, Ethylhexylglycerin, Citrus Tangerina (Tangerine) and Pelargonium Graveolens (Rose Geranium) Oils, Rosa Centifolia (Rose) Oil. • 1000 Roses Heavenly Night Cream:A heavenly measure of skin nutrition, this velvety rich 1000 Roses Heavenly Night Cream , with Alpine Rose Stem Cells helps provide intense cellular support to comfort, enrich, and recondition sensitive skin. Combined with Pomegranate tones and firms, Hyaluronic Acid and Aloe Vera help revitalize skin's hydro lipid barrier for a naturally clear complexion. For Delicate & Dry Skin. Dermatologist Tested. 1.7 oz. ORDER NOW! Ingredients: Aloe Barbadensis Juice, Glyceryl Stearate, Helianthus Annuus (Sunflower) Oil, Caprylic/Capric Triglycerides, Cetearyl Alcohol, PhytoCellTec (Alpine Rose, Malus Domestsica, Solar Vitis) and BioActive 8 Berry Complex, Soothing Complex: [Hyaluronic Acid, Magnolia Officinalis Bark, Phoenix Dactylifera (Date) Leaf Cell and Boswellia Serrata (Boswellin) Extracts], Vaccinium Macrocarpon (Cranberry) Juice, Stearic Acid, Glycine Soja (Soy) Protein, Biosaccharide Gum, Butyrospermum Parkii (Shea Butter), Bisabolol, Rosa Canina (Rosehip) and Punica Granatum (Pomegranate) Oils, Lecithin, Magnesium Ascorbyl Phosphate (Vitamin C), Rosa Damascena (Rose) Distillate, Panthenol (Pro-Vitamin B5), Allantoin, Camellia Sinensis (White Tea) and Aspalathus Linearis (Rooibos) Extracts, Tocopherol (Vitamin E), Phenethyl Alcohol, Ethylhexylglycerin, Citrus Tangerina (Tangerine) and Pelargonium Graveolens (Rose Geranium) Oils, Rosa Centifolia (Rose) Oil. • Resveratrol Q10 Night Repair Cream: Fruit Stem Cell Complex, Resveratrol, and CoQ10 deliver a potent selection of antioxidants to invigorate circulation and slow cellular damage. Helps speed healthy cell renewal for improved skin texture, reduce fine lines and wrinkles overnight for smooth, ageless beauty. For Dry & Sensitive Skin. 1.7 oz. ORDER NOW! Ingredients: Aloe Barbadensis Juice, Vegetable Glycerin, Theobroma Cacao (Cocoa) Butter, Helianthus Annuus (Sunflower) Oil, Lauric Acid, Cetearyl Alcohol, Ethylhexyl Palmitate, Fruit Stem Cells (Malus Domestsica, Solar Vitis) and BioActive 8 Berry Complex, Resveratrol, Ubiquinone (CoQ10), Magnesium Ascorbyl Phosphate (Vitamin C), Hydrolyzed Wheat and Hydrolyzed Soy Proteins, Lycium Barbarum (Goji) Glycopeptide, Fagus Sylvatica (Beech) Extract, Tocopherol (Vitamin E), Linum Usitatissimum (Flax) Oil, Hyaluronic Acid, Borago Officinalis (Borage), Persea Gratissima (Avocado), Rosa Canina (Rosehip) and Oenothera Biennis (Evening Primrose) Oils, Olive Squalane, Camellia Sinensis (White Tea), Aspalathus Linearis (Rooibos) and Hibiscus Sabdariffa Extracts, Allantoin, Mangifera Indica (Mango) Butter, Phenethyl Alcohol, Ethylhexylglycerin, Symphytum Officinale (Comfrey) Extract. • Beta Hydroxy Complex Recovery Cream: Fruit Stem Cell Complex functions overnight to accelerate healing, as Willow Bark extract cleanses and diminishes pores, controls bacteria, and balances excess oil. Made with Salicylic Acid to help fade hyperpigmentation for even tone and texture, Aloe Vera oxygenates, moisturizes, and soothes inflammation. Skin awakes feeling reconditioned, restored, and replenished. For Active and Oily Skin Types. 1.7 oz. ORDER NOW! Ingredients: Aloe Barbadensis Juice, Vegetable Glycerin, Hamamelis Virginiana (Witch Hazel), Glyceryl Stearate, Cetyl Alcohol, Fruit Stem Cells (Malus Domestsica, Solar Vitis) and BioActive 8 Berry Complex, Stearic Acid, Zea Mays (Corn) Starch, Epilobium Angustifolium (Willow Herb) Extract, Salicylic Acid, Salix Alba (Willow Bark) and Spiraea Ulmaria (Meadowsweet) Extracts, Zinc Gluconate, Panthenol (Pro-Vitamin B5), Allantoin, Cyamopsis Tetragonolobus (Guar) Gum, Theobroma Cacao (Cocoa) Butter, Camellia Sinensis (White Tea) and Sabdariffa Extracts, Tocopherol, Phenethyl Alcohol, Ethylhexylglycerin, Citrus Aurantium Dulcis Oil. 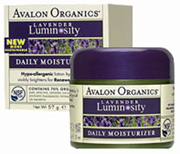 • Lavender Luminosity Daily Moisturizer: This weightless Lavender Luminosity Daily Moisturizer helps moisturize for your skin instantly appear brighter and radiant. Kombucha helps smooth the skin's surface to improve radiance. Made with antioxidant-rich Grape Seed Polyphenols help protect from damaging free radicals and maintain a velvety softness, and Hyaluronic Acid helps lock in skin's moisture. As a result, skin feels softer and appears more luminous. Apply to face and neck after cleansing morning and evening. 2 oz. ORDER TODAY! Ingredients: Aloe Barbadensis Leaf Juice, Aqua (Water), Caprylic/Capric Triglyceride, Polyglyceryl-6 Distearate, Glycerin, Cetyl Alcohol, Stearyl Alcohol, Glyceryl Stearate, Glyceryl Stearate Citrate, Theobroma Cacao (Cocoa) Seed Butter, Butyrospermum Parkii (Shea Butter), Borago Officinalis Seed Oil, Citrus Aurantifolia (Lime) Oil, Citrus Limon (Lemon) Peel Oil, Helianthus Annuus (Sunflower) Seed Oil, Lavandula Angustifolia (Lavender) Oil, Linum Usitatissimum (Linseed) Seed Oil, Oenothera Biennis (Evening Primrose) Oil, Vitis Vinifera (Grape) Seed Oil, Arnica Montana Flower Extract, Calendula Officinalis Flower Extract, Camellia Sinensis Leaf Extract, Chamomilla Recutita (Matricaria) Flower Extract, Curcuma Longa (Turmeric) Root Extract, Glycyrrhiza Glabra (Licorice) Rhizome/Root, Lavandula Angustifolia (Lavender) Flower Extract, Saccharomyces/Xylinum/Black Tea Ferment, Salix Alba (Willow) Bark Extract, Ascorbic Acid, Sodium Hyaluronate, Tocopherol Acetate, Xanthan Gum, Alcohol, Potassium Sorbate, Sodium Benzoate, Coumarin, Limonene, Linalool. • CoQ10 Repair Wrinkle Defense Night Creme: By supplementing your skin's energy sources, the restructuring and re-densifying of skin firmness is supported. As collagen and elastin growth is encouraged, the appearance of lines and wrinkles is smoothed away. Intensive antioxidants help fight free radicals known to cause new wrinkles to appear. Skin appearance is restored and younger-looking. For all skin types. For external use only. 1.75 oz. ORDER TODAY! Ingredients: Aloe Barbadensis Leaf Juice, Aqua (Water), Caprylic/Capric Triglyceride, Glycerin, Helianthus Annuus (Sunflower) Seed Oil, Glyceryl Stearate, Myristyl Myristate, Glyceryl, Stearate Citrate, Cetyl Alcohol, Stearyl Alcohol, Butyrospermum Parkii (Shea) Butter, Squalane, Borago Officinalis Seed Oil, Citrus Aurantium Dulcis (Orange) Peel Oil, Citrus Limon (Lemon) Peel Oil, Citrus Nobilis (Mandarin Orange) Peel Oil, Lavandula Angustifolia (Lavender) Oil, Prunus Amygdalus Dulcis (Sweet Almond) Oil, Rosa Canina Fruit Oil, Arnica Montana Flower extract, Camellia Sinensis Leaf extract, Chamomila Recutita (Matricaria) Flower extract, Lavandula Angustifolia (Lavender) Flower/Leaf/Stem extract, Leucojum Aestivum Bulb extract, Glyceryl Caprylate, Polyglyceryl-6 Distearate, Ribose, Tocopheryl Acetate, Ubiquinone, Xanthan Gum, Alcohol, Beta-Pinene, Linalyl Acetate, Linalool. • Brilliant Balance Ultimate Night Cream: Ultimate Night Cream intensely hydrates and promotes the skin's natural invigorating cycle to reduce lines and wrinkles. Ultimate Night Cream contains Cucumber and Prebiotics for added skin balancing and soothing benefits. Hypo-Allergenic and Dermatologist Tested. 2 oz. ORDER TODAY! Ingredients: Aloe Barbadensis Leaf Juice, Caprylic/Capric Triglyceride , Helianthus Annuus (Sunflower) Seed Oil, Glycerin, Glyceryl Stearate, Myristyl Myristate, Cetyl Alcohol, Glyceryl Stearate Citrate, Stearyl Alcohol, Ascorbyl Glucoside , Butyrospermum Parkii (Shea) Butter, Borago Officinalis Seed Oil, Citrus Aurantifolia (Lime) Oil, Citrus Limon (Lemon) Peel Oil, Lavandula Angustifolia (Lavender) Oil, Oenothera Biennis (Evening Primrose) Oil, Prunus Amygdalus Dulcis (Sweet Almond) Oil, Arnica Montana Flower Extract, Camellia Sinensis Leaf Extract, Chamomilla Recutita (Matricaria) Flower Extract, Cucumis Sativus (Cucumber) Seed Extract, Curcuma Longa (Turmeric) Root Powder, Lactobacillus Ferment Lysate, Lavandula Angustifolia (Lavender) Flower Extract, Leuconostoc/Radish Root Ferment Filtrate, Saccharomyces/xylinum/Black Tea Ferment, Tocopheryl Acetate, Alcohol, Aqua (Purified Water), Polyglyceryl-6 Distearate, Potassium Hydroxide, Sodium Hyaluronate, Squalane, Xanthan Gum, Benzyl Alcohol, Potassium Sorbate, Sodium Benzoate, Citral, Coumarin, Geraniol, Limonene, Linalool. FACE CARE: CoQ10 Repair Wrinkle Defense Night Creme, 1.75 oz. • Evenly Radiant Brightening Day Creme SPF15: The skin-brightening daytime Radiant Brightening Day Creme with full spectrum UVA/UVB protection helps improve radiance and smooth skin tone. Formulated with the Intensive Skin Brightening Complex containing Madonna Lily Plant Stem Cells, Bearberry, Niacinamide, Licorice, Green Tea and C-Ester to help fight discoloration for a brighter, radiant complexion. Perfect for skin showing signs of uneven pigmentation, discoloration, sun damage, freckles, age spots and dark spots. 2 oz. ORDER TODAY! Ingredients: Active Ingredients: Ethylhexyl Methoxycinnamate (Octinoxate) 5.5%, Zinc Oxide 5.5%. Other Ingredients: Water (Aqua), Cetearyl Olivate, Sorbitan Olivate, Propanediol, Glycerin, Carthamus Tinctorius (Safflower) Seed Oil, Niacinamide (Vitamin B3), Capric/Caprylic Triglyceride, Cetyl Alcohol, Glyceryl Stearate Citrate, Tocopheryl Acetate (Vitamin E), Arctostaphylos Uva Ursi (Bearberry) Leaf Extract, Ascorbyl Palmitate (C-Ester), Glycyrrhiza Glabra (Licorice) Root Extract, Organic Camellia Sinensis (Green Tea) Leaf Extract (.1%), Glyceryl Stearate, Vitis Vinifera (Grape) Seed Oil, Epilobium Angustifolium (Canadian Willowherb™) Extract, Lilium Candidum (Madonna Lily) Leaf Cell Extract, Organic Olea Europaea (Olive) Fruit Oil (.1%), Potassium Sorbate, Xanthan Gum, Phenoxyethanol, Ethylhexylglycerin. • Astazanthin & Pycnogenol Age-Defying Day Creme: Reverse the noticeable signs of aging, reduce the look of skin irregularities and calm irritation with this ultimate antioxidant-rich daily Age-Defying Day Creme. Contains the antioxidants Astaxanthin in counterbalancing free radicals, and Pycnogenol® in fighting free radical damage. Helps reduce the look of fine lines and wrinkles, protects skin against daily environmental stresses and delivers a smoother, more youthful complexion. Enriched with luscious Jojoba Oil, nurturing Vitamins C and E and Lavender essential oil. Perfect for those looking for a light yet powerful, anti-aging daytime moisturizer that glides on easily and wears well under makeup. 2 oz. ORDER TODAY! Ingredients: Purified Water (Aqua), Glycerin, Caprylic/Capric Triglyceride, Stearic Acid, Cetyl Alcohol, Haematococcus Pluvialis (Astaxanthin, BioAstin®), Pinus Pinaster (Pycnogenol®) Bark Extract, Panthenol, Allantoin, Glyceryl Stearate, Organic Simmondsia Chinensis (Jojoba) Seed Oil (.7%), Tocopheryl Acetate (Vitamin E), Ascorbyl Palmitate (C-Ester), Lavandula Angustifolia (Lavender) Essential Oil, Polysorbate 20, Dimethicone, Phenoxyethanol, Ethylhexylglycerin, Potassium Sorbate. • Astazanthin & Pycnogenol Age-Defying Night Creme: While you sleep with this advanced, antioxidant-rich Age-Defying Night Crème reverse the noticeable signs of aging, reduce the look of skin irregularities and calm irritation. Formulated with the Astaxanthin to neutralize the free radicals and Pycnogenol® to fight free radical damage. Together, these powerful antioxidants are blended into this high-potency nighttime moisturizer to help reduce the look of fine lines and wrinkles, stimulate noticeable recovery from environmental stresses and promotes a smoother, more youthful complexion. Invigorated with luscious Jojoba Oil, nurturingg Vitamins A and E and Lavender essential oil. 2 oz. ORDER TODAY! Ingredients: Purified Water (Aqua), Caprylic/Capric Triglyceride, Glycerin, Cetyl Alcohol, Stearyl Alcohol, Stearic Acid, Glyceryl Stearate, Haematococcus Pluvialis (Astaxanthin, BioAstin®), Pinus Pinaster (Pycnogenol®) Bark Extract, Tocopheryl Acetate (Vitamin E), Retinyl Palmitate (Vitamin A), Lavandula Angustifolia (Lavender) Essential Oil, Organic Simmondsia Chinensis (Jojoba) Seed Oil (.1%), Polysorbate 20, Potassium Sorbate, Phenoxyethanol, Ethylhexylglycerin. FACE CARE: Evenly Radiant Brightening Day Creme SPF15, 2 oz. • Radiance Day Creme: Make every day radiant. Infused with Royal Jelly, one of nature's most powerful nutrients, this day creme moisturizes, helps enhance your skin's radiance and minimizes the appearance of fine lines and wrinkles. Resulting in naturally radiant, younger-looking skin. Infused with Royal Jelly, one of nature's most powerful nutrients. Moisturizes and helps enhance skin's radiance. Helps minimize appearance of fine lines and wrinkles. 2 oz. ORDER NOW! Ingredients: Aqua (Water, Eau), Helianthus Annuus (Sunflower) Seed Oil, Glycerin, Cetyl Alcohol, Parfum (Fragrance), Stearic Acid, Kaolin, Royal Jelly, Prunus Serotina (Wild Cherry) Bark Extract, Aloe Barbadensis Leaf Extract, Hydrolyzed Jojoba Esters, Lecithin, Butyrospermum Parkii (Shea) Butter, Jojoba Esters, Pollen Extract, Mentha Viridis (Spearmint) Extract, Betula Alba Bark Extract, Citrus Medica Limonum (Lemon) Peel Extract, Arctium Lappa Root Extract, Chamomilla Recutita (Matricaria) Flower Extract, Cucumis Sativus (Cucumber) Fruit Extract, Equisetum Hiemale Extract, Euphrasia Officinalis Extract, Hamamelis Virginiana (Witch Hazel) Leaf Extract, Humulus Lupulus (Hops) Extract, Pinus Strobus Cone Extract, Rosa Canina Fruit Extract, Rosmarinus Officinalis (Rosemary) Leaf Extract, Salvia Officinalis (Sage) Leaf Extract, Urtica Dioica (Nettle) Extract, Xanthan Gum, Alcohol Denat., Sucrose Stearate, Sucrose Polystearate, Phenoxyethanol, Amyl Cinnamal, Limonene, Linalool. • Radiance Night Creme: A moonlit glow. Infused with Royal Jelly, one of nature's most powerful nutrients, this day creme helps enhance skin's radiance and minimize the appearance of fine lines and wrinkles. Formulated with Bee Pollen and Shea Butter to help moisturize for naturally radiant, younger-looking skin. Infused with Royal Jelly, one of nature's most powerful nutrients. Helps enhance skin's radiance and minimize the appearance of fine lines and wrinkles. Helps moisturize skin with Bee Pollen and Shea Butter. 2 oz. ORDER NOW! Ingredients: Aqua (Water, Eau), Helianthus Annuus (Sunflower) Seed Oil, Glycerin, Cetyl Alcohol, Stearic Acid, Sucrose Stearate, Parfum (Fragrance), Kaolin, Royal Jelly, Lecithin, Prunus Serotina (Wild Cherry) Bark Extract, Aloe Barbadensis Leaf Extract, Hydrolyzed Jojoba Esters, Butyrospermum Parkii (Shea) Butter, Jojoba Esters, Pollen Extract, Mentha Viridis (Spearmint) Extract, Betula Alba Bark Extract, Citrus Medica Limonum (Lemon) Peel Extract, Arctium Lappa Root Extract, Chamomilla Recutita (Matricaria) Flower Extract, Cucumis Sativus (Cucumber) Fruit Extract, Equisetum Hiemale Extract, Euphrasia Officinalis Extract, Hamamelis Virginiana (Witch Hazel) Leaf Extract, Humulus Lupulus (Hops) Extract, Pinus Strobus Cone Extract, Rosa Canina Fruit Extract, Rosmarinus Officinalis (Rosemary) Leaf Extract, Salvia Officinalis (Sage) Leaf Extract, Urtica Dioica (Nettle) Extract, Beta-Carotene, Xanthan Gum, Alcohol Denat., Glycine Soja (Soybean) Oil, Sucrose Polystearate, Citric Acid, Phenoxyethanol, Amyl Cinnamal, Limonene, Linalool. FACE CARE: Radiance Creme, 2 oz. 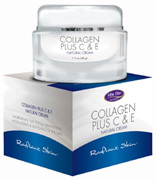 • Radiant Skin Collagen Plus C & E Natural Cream: Collagen Plus C & E delivers maximum moisturization for moist, supple skin. Highly advanced anti-aging natural cream with Collagen, Vitamin C, and Vitamin E for normal to dry skin to help brighten and hydrate for firmer looking skin. Stimulates skin elasticity helping prevent the appearance of fine lines and wrinkles. 1.7 oz. ORDER TODAY! Ingredients: Purified Water, Aloe Barbadensis (Aloe Vera) Gel, Caprylic/Capric Triglyceride , α-Tocopherol (Vitamin E ), Glycerin, Glyceryl Stearate, Stearic Acid, Butyrospermum Parkii (Shea Butter), Lecithin, Magnesium Acorbyl Phosphate (Vitamin C), Hydrolyzed Collagen, Phenoxyethanol,Sodium Bicarbonate, Natural essential Oils (Fragrance), Sodium Hyaluronate, Sodium Benzoate, Potassium Sorbate, Cholecalciferol (Vitamin D3. • Radiant Skin Retinol A 1% Advanced Revitalization Cream: Retinol A 1% Cream provides a high concentration of Retinol to hydrate the skin and to reduce the appearance of fine lines wrinkles and skin irregularities. Blended with Green Tea help protect from free radical damage to the skin, and Vitamin E & Vitamin C helps promote intensive moisturizing and softening of the skin. Formulated to reduce the noticeable signs of aging and leave skin moisturized, toned and supple. Non-greasy and fast absorption. 1.7 oz. ORDER TODAY! • Radiant SkinRetinol A 1% Roll On: Retinol A 1% is made with Retinol and Vitamins C, D3, and E to help improve the appearance of skin irregularities and signs of aging. Retinol is a natural antioxidant helps smooth skin tone and protect from free-radical damage. Vitamins C, D3, and E help nurture and calm skin. When blended in this easy-to-use roll on, skin is left hydrated, toned, and refined. 7 ml. ORDER TODAY! Ingredients: Purified Water, Glycereth-7 Triacetate, Polyglyceryl-10 Caprylate/Caprate, Retinol (Vitamin A), Potassium Sorbate, Citric Acid, Cholecalciferol (Vitamin D3), Ascorbyl Palmitate (Vitamin C) and Tocopherol (Vitamin E). FACE CARE: Retinol A 1% Advanced Revitalization Cream, 1.7 oz. FACE CARE: Collagen Plus C & E Cream, 1.7 oz. FACE CARE: Retinol A 1% Roll On, 7 ml. • BIO Sea Buckthorn Age Protection Day Cream: Age Protection Day Cream with organic Sea Buckthorn Berry Extract and Hyaluronic Acid helps diminish the appearance of fine lines and provide intense nurturing for demanding skin. Helps deliver the skin with essential moisture and leaves it feeling soft and smooth. Helps invigorate the skin, restore functions, provide protection from stress and environmental aging factors, and prevent skin fatigue. 1 oz. ORDER NOW! Ingredients: Laurate, Simmondsia Chinensis (Jojoba) Seed Oil, Cetyl Alcohol, Argania Spinosa Kernel Oil, Tocopheryl Acetate, Sodium Stearoyl Glutamate, Sodium PCA, Xanthan Gum, Crithmum Maritimum Extract, Aloe Barbadensis Leaf Juice Powder, Glycine Soja (Soybean) Germ Extract, Hippophae Rhamnoides (Sea Buckthorn) Fruit Extract, Sodium Hyaluronate, Caprylic/Capric Triglyceride, Hydrogenated Lecithin, Tocopherol, Helianthus Annuus (Sunflower) Seed Oil, Sodium Hydroxide, Parfum (Essential Oil), Linalool, Limonene, Citral, Geraniol, Coumarin. • BIO Sea Buckthorn Age Protection Night Cream: Age Protection Night Cream with organic Sea Buckthorn Berry Extract and Hyaluronic Acid helps reduce the appearance of fine lines and provide intense nutrition for demanding skin. The careful combination of ingredients delivers the natural restoration of the skin and boosts cell renewal. Helps protect from stress factors and premature aging processes, deeply moisturize, diminish wrinkles and refresh the skin! 1 oz. ORDER NOW! Ingredients: Aqua (Water), Alcohol, Glycine Soja (Soybean) Oil, Olea Europaea (Olive) Fruit Oil, Glycerin, Butyrospermum Parkii (Shea Butter), Squalane, Palmitic Acid, Stearic Acid, Simmondsia Chinensis (Jojoba) Seed Oil, Cetearyl Alcohol, Isoamyl Laurate, Brassica Oleracea Italica (Broccoli) Seed Oil, Argania Spinosa Kernel Oil, Tocopheryl Acetate, Cetyl Alcohol, Caprylic/Capric Triglyceride, Xanthan Gum, Hydrogenated Lecithin, Sodium Stearoyl Glutamate, Caffeine, Aloe Barbadensis Leaf Juice Powder, Commiphora Mukul Resin Extract, Crithmum Maritimum Extract, Sodium Hyaluronate, Tocopherol, Helianthus Annuus (Sunflower) Seed Oil, Sodium Hydroxide, Hippophae Rhamnoides (Sea Buckthorn) Fruit Extract, Parfum (Essential Oil), Linalool, Limonene, Citral, Geraniol, Coumarin. • Organic Rose Day Cream Dry Skin:Organic Rose Day Cream offers the intense, lasting moisturization of your dry skin needs every day. The mild blend of botanical oils and extracts helps invigorate healthy skin functions and maintain your skin's soft, silky texture. Made with Almond, Jojoba, Wild Rose, Shea Butter, and the extracts of Damascus Rose and Goji Berry to boost skin elasticity, delivering immediate and tangible skin improvement. 1.35 oz. ORDER NOW! Ingredients: Aqua (Water), Glycine Soja (Soybean) Oil, Glycerin, Prunus Amygdalus Dulcis (Sweet) Almond Oil,Simmondsia Chinensis (Jojoba) Seed Oil, Potassium Cetyl Phosphate, Hydrogenated Palm Gycerides, Butyrospermum Parkii (Shea Butter), Cetearyl Alcohol, Cocoglycerides, Parfum (Essential Oils), Rosa Damascena Flower Water, Isoamyl Laurate, Distarch Phosphate, Rosa Canina Fruit Oil, Xanthan Gum, Rosa Damascena Flower Extract, Pyrus Cydonia Seed Extract, Lycium Barbarum Fruit Extract, Sodium PCA, Sodium Levulinate, Sodium Anisate, Lactic Acid, Sodium Lactate, Alcohol, Ascorbyl Palmitate, Lecithin, Tocopherol, Hydrogenated Palm Glycerides Citrate, PCA Ethyl Cocyl Arginate, Citronellol, Geraniol, Linalool, Limonene, Citral. • Organic Rose Night Cream Dry Skin: The Organic Rose Night Cream remedies dry skin to a invigorating beauty treatment. Blended with Almond, Olive, Wild Rose and Jojoba Oil, Cocoa Butter and Damascus Rose extract helps calm skin, replenish refreshing moisture, supporting its natural renewal and erasing fine lines and wrinkles. For silky-soft, supple skin. 1.35 oz. ORDER TODAY! Ingredients: Aqua (Water), Glycine Soja (Soybean) Oil, Glycerin, Simmondsia Chinensis (Jojoba) Seed Oil, Potassium Cetyl Phosphate, Olea Europaea (Olive) Fruit Oil, Butyrospermum Parkii (Shea Butter), Cetearyl Alcohol, Cocoglycerides, Hydrogenated Palm Gycerides, Parfum (Essential Oils), Rosa Canina Fruit Oil, Prunus Amygdalus Dulcis (Sweet) Almond Oil, Rosa Damascena Flower Water, Theobroma Cacao (Cocoa) Seed Butter, Isoamyl Laurate, Pyrus Cydonia Seed Extract, Rosa Damascena Flower Extract, Lycium Barbarum Fruit Extract, Xanthan Gum, Glyceryl Stearate Citrate, Sodium Levulinate, Sodium Anisate, Lacitc Acid, Sodium Lactate, Alcohol, Ascorbyl Palmitate, Lecithin, Tocopherol, Hydrogenated Palm Glycerides Citrate, PCA Ethyl Cocoyl Arginate, Limonene, Linalool, Citral, Citronellol, Geraniol, Benzyl Benzoate. • Organic Aloe Night Cream Sensitive Skin: Organic Aloe Night Cream delivers your sensitive skin a soothing healing treatment every night. Gentle combination of botanical oils and extracts help calm your skin, intensely hydrate, and fortify natural renewing processes. Made with oils of organic Almond, Jojoba, and Sesame, Shea Butter, and the extracts of organic Aloe Vera, Green Tea, and Madonna Lilly to provide relief from the troubling conditions of blotchiness, irritations, and uncomfortable skin tautness. 1.35 oz. ORDER NOW! Ingredients: Aqua (Water), Alcohol, Glycerin, Butyrospermum Parkii (Shea Butter), Cocoglycerides, Sesamum Indicum (Sesame) Seed Oil, Distarch Phosphate, Elaeis Guineensis (Palm) Oil, Cetyl Alcohol, Glycine Soja (Soybean) Oil, Simmondsia Chinensis (Jojoba) Seed Oil, Cetearyl Olivate, Sorbitan Olivate, Prunus Amygdalus Dulcis (Sweet) Almond Oil, Rhus Verniciflua Peel Wax, Aloe Barbadensis Leaf Juice Powder, Camellia Sinensis Leaf Extract, Pyrus Cydonia Seed Extract, Lilium Candidum Flower Extract, Dipotassium Glycyrrhizate, Xanthan Gum, Maltodextrin, Ascorbyl Palmitate, Lecithin, Tocopherol, Hydrogenated Palm Glycerides Citrate, Parfum (Essential Oils), Linalool, Limonene, Geraniol, Benzyl Salicylate, Citronellol, Citral. FACE CARE: Age Protection Hyaluron, Day Cream 1.35 oz. FACE CARE: Age Protection Hyaluron, Night Cream 1.35 oz. • Alpha Lipioc Acid Anti-Oxidation & Texturizing Day Cream: An antioxidant complex featuring Alpha Lipoic Acid for normal to dry skin. Get the protection against daytime damage that everyone needs as you nourish skin with organic oils and multi-nutrients. Nourish, soften normal-dry and smooth, silky skin texture --- all as you defend against future damage with our alpha lipoic acid, Vitamins C, E and green teaantioxidant complex. Certified organic oils and a wealth of natural nutrients also help fight past damage as they contribute to a healthy glow. 2 oz. ORDER TODAY! Ingredients: Purified water, aloe vera gel (cert organic), hybrid sunflower oil (cert organic), vegetable glycerine, emulsifyling wax N.F., octyl palmitate, glyceryl stearate, sweet almond oil (cert organic), cetyl alcohol, veg, squalane alpha lipoic acid, vitamin E, vitamin C, green tea extract (cert organic), cucumber extract (cert organic), DL panthenol, allantoin, soy lecithin, hydrolyzed soy protein, vitamin A, vitamin D3, xanthan gum, jojoba oil, dimethicone, cocoa butter, rose essence, methyl paraben, propyl paraben, diazolidinyl urea, lavender & ylang ylang & lemon & lime essential oils. • Kojic Acid Skin Lightening Day Cream: Skin Lightener For Day Cream w/ Kojic Acid is so effective because of the precise blending of the natural base and lightening ingredients (mulberry, lime and Kojic acid). Added SPF15 sunscreen agent to successfully fade the dark spots or skin discoloration and protecting from the sun. CAUTION: This product is not recommended for use on children under 12 years of age. 1.5 oz. ORDER TODAY! Ingredients: Active Ingredients: Octyl Methoxycinnamate, Oxybenzone, Kojic Acid. Other Ingredients: Demineralized Spring Water, Mulberry Extract, Glyceryl Stearate, Wheat Germ Oil, Stearyl Stearate, Cetyl Alcohol, Stearyl Alcohol, Ceteareth-20, Lime Extract, Sodium Metabisulfite, Sodium Bisulfite, Citric Acid, Caramel, Simethicone, Glycerin, Dilauryl Thiodipopionate, Microcrystalline Cellulose, Cellulose, Cellulose Gum, Potassium Sorbate, Sodium Benzoate, Essential Oil Fragrance. • 5% Glycolic Acid Cream:Formulated with an exclusive polymer form of Glycolic Acid and Hellip actual strands of glycolic that penetrate the skins own natural polymer structure. They enter more efficiently to encourage better exfoliation. 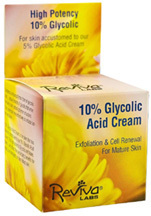 The Glycolic extract used in Reviva's Glycolic Acid Cream is full-strength glycolic crystals, 100% glycolic extract, never diluted. 1.5 oz. ORDER TODAY! • 10% Glycolic Night Cream:For skin that has become accustomed to the 5% Glycolic Acid Cream, this high-potency Glycolic in the 10% Glycolic Night Cream helps exfoliate faster and delivers fine texturizing benefits for aging, sun-damaged, or blemished skin. May cause a stinging action. Use only if you have been using our 5% Glycolic Cream and can now advance to this stronger treatment. 1.5 oz. ORDER TODAY! Ingredients: Purified Water, 10% Glycolic Acid Polymer (extracts of Sugar and Rhubarb), extracts of Pumpkin, Peach, Sage, Comfrey, Chamomile, Witch Hazel, Vitamins A, D, E, Safflower Oil, Sunflower Oil. FACE CARE: Anti-Oxidation & Texturizing Day Cream, 2 oz. FACE CARE: Skin Lightening Day Cream w/ Kojic Acid, 1.5 oz. FACE CARE: 5% Glycolic Night Cream, 1.5 oz. FACE CARE: 10% Glycolic Night Cream, 1.5 oz. • Brown Spot Skin Lightening Night Cream: Proven effective formula for over 20 years and by thousands of users internationally! Brown Spot Skin Lightening Night Cream helps reduce dark spots or discoloration for a smoother, more even skin color. For face & hands. Massage small amount into spot area each evening. To balance treatment, avoid heavy sun exposure. Makeup can be worn over moisturizer. CAUTION: Not recommended for children under 12 years of age. Do not use on eye area or over cuts or irritations. We recommend testing for sensitivity before beginning treatment. Test on small underarm area. 1 oz. ORDER TODAY! Ingredients: Purified Water, Cetyl Alcohol, Glyceryl Monostearate, Isopropyl Palmitate, Hydroquinone, Glycerin (veg. ), Stearic Acid, Dilauryl Thiodipropionate, Citric Acid, Sodium Metabisulfite, Sodium Sulfite, Potassium Sorbate, Sodium Benzoate, Natural Oil Fragrance. • InterCell Night Gel w/ Hyaluronic Acid: InterCell Night Gel helps increase and retain skin moisture during very dry climates. InterCell, through its Hyaluronic Acid helps retain moisture from the liquids you drink. Frequent use helps prevent dry looking, brittle or flaky skin, and leaves a more moist, younger-looking bloom to your skin. 1.25 oz. ORDER TODAY! Ingredients: urified Water, Sorbitol, Hyaluronic Acid, Carbomer 940, Glycogen, Potassium Sorbate, Sodium Benzoate, Citric Acid. Ingredients: Water, Stearic Acid, Cetyl Alcohol, Sunflower Seed Oil, Isopropyl Lanolate, Jojoba Alcohol, Potassium Jojobate, Hydrolyzed Collagen, Avocado Oil, Sweet Almond Oil, Vitamin E, Caprylyl Glycol, Sterol Extract (Oleyl Alcohol, Wild Yam Root Extract, Glycine Soya Sterols), Propanediol, Fragrance, Retinyl Palmitate (Vitamin A), Cholecalciferol (Vitamin D3), Phenoxyethanol, Ethylhexylglycerin. FACE CARE: Brown Spot Skin Lightening Night Cream, 1 oz. Collagen Night Cream, 1 oz. 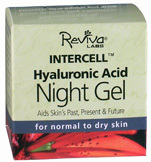 FACE CARE: Intercell Night Gel, 1.5 oz. •Active Age Defense Hydrating Day Cream: This ultra-moisturizing Hydrating Day Cream combines a garden of fresh, nurturing ingredients to nourish the skin inside and out, delivering protection from pollution, dryness and stress. Vanishes into the skin, providing flawless and luminous tone and texture. Gentle enough for even the most sensitive faces. Unscented. Oil free, hypo-allergenic. 1.7 oz. ORDER TODAY! Ingredients: Aqueous Infusion of Panax Ginseng Root Extract, Cola Acuminata Seed Extract, Prunus Armeniaca (Apricot) Kernel Oil, Cetyl Esters, Methyl Glucose Sequistearate, Calendula Officinalis Flower Extract, Squalane, Tocopheryl Linoleate, Octyl Methoxycinnamate, Panthenol, Glycine Soya (Soybean) Sterols, Lactic Acid, Ginkgo Biloba Leaf Extract, Glycerin, Arnica Montana Flower Extract, Sodium Hyaluronate, Micellized Beta-Carotene, Echinacea Angustifolia Extract, Tocopherol Acetate, Glycyrrhiza Glabra (Licorice) Root Extract, Carthamus Tinctorius (Safflower) Seed Oil, Citrus Grandis (Grapefruit) Seed Extract, Allantoin, Potassium Sorbate, Ascorbic Acid. • A/B Hydroxy Acid Night Rejuvenator: Scientifically formulated to invigorate skin overnight. A/B Hydroxy Acid Night Rejuvenator is reinforced with a blend of Alpha and Beta Hydroxy Acids and Hyaluronic Acid to fight the appearance of aging. Plant-derived emollients provide moisture to keep skin smooth, firm and supple. Wake up with fresh skin, today. Unscented. 1 oz. ORDER TODAY! Ingredients: Aqueous Infusion of Panax Ginseng Extract, AHA Liposomes (Lactic Acid, Glycolic Acid, Hydroxylated Lecithin,Cetrimonium Chloride, Tocopherol Acetate), DI-C12-13 Alkyl Tartrate, Vaccinium Myrtillus (Bilberry) Extract, Saccharum Officinarum (Sugar Cane) Extract, Acer Saccharum (Sugar Maple) Extract, Citrus Aurantium Dulcis (Orange) Fruit Extract, Citrus Medica Limonum (Lemon) Fruit Extract, Ceteareth-5, Cyclomethicone, PPG-12/SMDI Copolymer, Phenyl Trimethicone, Glycerin, Squalene, Carthamus Tinctorius (Safflower) Oil, Dimethicone, Glyceryl Stearate, Peg-100 Stearate, Helianthus Annuus (Sunflower) Seed Oil, Behentrimonium Methosulfate, Cetearyl Alcohol, Magnesium Aluminum Silicate, Salicylic Acid, Saccharomyces Cerevisiae (Yeast) Extract, Xanthan Gum, Camellia Oleifera (Green Tea) Leaf Extract, Tocopherol, Chlorella Vulgaris (Algae) Extract, Sodium Hyaluronate, Camellia Sinensis (Green Tea) Extract, Vegetable Oil, Beta Carotene, Macrocystis Pyrifera (Kelp) Extract, Ascorbic Acid, Potassium Sorbate, Nylon-12, Phenoxyethanol. • Apricot Night Cream Dry Skin: Ultra-rich Apricot Night Cream with Phytelenes and plant extracts with essential oils helps revitalize the look of the skin, offers a healthy, more glowing appearance. Intensely moisturizing plant-extracted Sterols, Apricot Oil and Vitamin E helps hydrate and relieve severely dry skin leaving it soft and supple. 1.65 oz. ORDER TODAY! Ingredients: Aqueous Infusion of Calendula Officinalis (Marigold) Flower, Glycerin, Glycine Soya (Soybean) Oil, Prunus Amygdalus Dulcis (Sweet Almond) Oil, Glyceryl Stearate, Peg-100 Stearate, Prunus Armeniaca (Apricot) Kernel Oil, Cetyl Alcohol, Sodium PCA, Glycine Soya (Soybean) Sterols, Sodium Hyaluronate, Bambusa Arundinacea (Bamboo) Stem Extract, Sambucus Nigra (Elder) Flower Extract, Cucumis Sativus (Cucumber) Fruit Extract, Arnica Montana Flower Extract, Hedera Helix (Ivy) Extract, Glycyrrhiza Glabra (Licorice) Root Extract, Saccharum Officinarum (Sugar Cane) Extract, Retinyl Palmitate, Ascorbic Acid, Tocopherol, Allantoin, Lactic Acid, Citrus Grandis (Grapefruit) Seed Extract, Potassium Sorbate, Phenoxyethanol, Fragrance (Parfum). • 145 Night Renewal Facial Lotion: As you age, dead, dull, older-looking skin cells build up, and new skin regenerates more slowly. Night Renewal Facial Lotion is formulated with fruit acids to help exfoliate old tired-looking skin and invigorate skin renewal. Enriched with Hyaluronic Acid, Green Tea, Algae, and Ginseng Root extracts to moisturize skin and reduce the noticeable signs of age. Contains all-natural Cedar Mint fragrance. 1 oz. ORDER TODAY! Ingredients: Water, Cocos Nucifera (Coconut) Oil, Cetearyl Alcohol, Polysorbate 60, Squalane, Carthamus Tinctorius (Safflower) Seed Oil, Helianthus Annuus (Sunflower) Seed Oil, Glyceryl Stearate SE, Vaccinium Myrtillus (Bilberry) Extract, Saccharum Officinarum (Sugar Cane) Extract, Acer Saccharum (Sugar Maple) Extract, Citrus Aurantium Dulcis (Orange) Fruit Extract, Citrus Medica Limonum (Lemon) Fruit Extract, Glycerin, Dimethicone, Salicylic Acid, Ascorbic Acid, Sodium Hyaluronate, Camellia Oleifera (Green Tea) Leaf Extract, Chlorella Vulgaris (Algae) Extract, Panax Ginseng Root Extract, Sorbitol, Yeast Extract, Tocopherol, Lecithin, Beta Carotene, Tocopheryl Acetate, Tapioca Starch, Potassium Cetyl Phosphate, Zea Mays (Corn) Oil, Citrus Grandis (Grapefruit) Seed Extract, Glyceryl Caprylate, Glyceryl Undecylenate, Xanthan Gum, Potassium Sorbate, All-Natural Fragrance. FACE CARE: Hydrating Day Cream, 1.7 oz. A/B Hydroxy Acid Night Rejuvenator, 1 oz. FACE CARE: Apricot Night Creme, 2 oz. FACE CARE: 145 Night Renewal Facial Lotion, 1 oz. • Light Switch Brightening Serum: Light Switch Brightening Serum helps stabilize skin tone, and noticeably soften the appearance of age spots. Blended with Lemon, Japanese Mandarin, Licorice and Mulberry to help provide your skin's radiance, brightness and tone. It's the perfect way to lighten up. 1.1 oz. ORDER TODAY! Ingredients: Water, Dimethicone, Cyclopentasiloxane, Citrus Unshiu (Japanese Mandarin) Peel Extract, Glycerin, Dimethicone/PEG-10/15 Crosspolymer, Polysorbate 80, Alcohol Denat., Pelargonium Graveolens (Rose Geranium) Flower/Leaf/Stem Extract, Lippia Citriodora (Lemon Verbena) Flower/Leaf/Stem Extract, Butylene Glycol, Citrus Limon (Lemon) Fruit Extract, Rosa Gallica (French Rose) Flower Extract, Calluna Vulgaris (Heather) Flower Extract, Lactuca Scariola Sativa (Lettuce) Leaf Extract, Morus Alba (Mulberry) Fruit Extract, Centaurium Erythraea (Centaury) Extract, Glycyrrhiza Glabra (Licorice) Root Extract, Xanthan Gum, Mitracarpus Scaber Extract, Ananas Sativus (Pineapple) Fruit Extract, Arctostaphylos Uva Ursi (Bearberry) Leaf Extract, Saccharum Officinarum (Sugar Cane) Extract, Cucurbita Pepo (Pumpkin) Seed Extract, Lecithin, Soy Isoflavones, Sclerotium Gum, Dimethicone/Vinyl Dimethicone Crosspolymer, Polyacrylamide, C13-14 Isoparaffin, Laureth-7, Backhousia Citriodora (Lemon Myrtle) Oil, Glyceryl Undecylenate, Ethylhexylglycerin, Phenoxyethanol, Fragrance. • Avocado Night Cream: The rich, nocturnal treatment Avocado Night Cream vanishes into skin upon contact to moisturize and replenish tired, dry skin. Combined with Avocado Oil and advanced, plant-based ingredients to promote a healthy, youthful looking skin. Oat Beta Glucan intensely hydrates to skin elasticity and reduce the appearance of fine lines and wrinkles. Carob Seed Extract helps nourish and softens stressed skin, and natural peptides from Maca delivers a glowing, even looking skin tone. Dermatologist Tested. 2 oz. ORDER TODAY! Ingredients: Water, Glycerin, Coco-Caprylate, Prunus Armeniaca (Apricot) Kernel Oil, Glyceryl Stearate, Acacia Decurrens/Jojoba/Sunflower Seed Wax Polyglyceryl-3 Esters, Candelilla/Jojoba/Rice Bran Polyglyceryl-3 Esters, Persea Gratissima (Avocado) Oil, Microcrystalline Cellulose, Cetearyl Alcohol, Sodium Stearoyl Lactylate, Hydrolyzed Lepidium Meyenii(Maca) Root, Hydrolyzed Ceratonia Siliqua (Carob) Seed Extract, Beta-Glucan, Aloe Barbadensis Leaf Juice, Camellia Sinensis (White Tea) Leaf Extract, Rubus Villosus (Blackberry) Fruit Extract, Argania Spinosa (Argan) Kernel Extract, Linum Usitatissimum (Linseed/Flaxseed) Seed Extract, Olea Europaea(Olive) Fruit Unsaponifiables, Malpighia Glabra (Acerola) Fruit Extract, Citrus Aurantium Bergamia (Bergamot) Fruit Extract, Citrus Aurantium Dulcis (Orange) Peel Oil, Citrus Grandis (Grapefruit) Peel Oil, Rosmarinus Officinalis (Rosemary) Leaf Oil, Salvia Lavandulaefolia (Sage) Leaf Oil, Xanthan Gum, Cellulose Gum, Glyceryl Undecylenate, Ethylhexylglycerin, Phenoxyethanol, Sodium Hydroxide. FACE CARE:Light Switch Brightening Serum, 1.1 oz. FACE CARE: Avocado Night Cream, 2 oz. • Pure Aromatherapy Vitamin C Renewal Cream w/ CoQ10: Formulated with CoQ10 to help moisturize, condition, andrestore your skin. Active Vitamin C and Co-enzyme Q10 with green tea extractand anti-oxidant vitamins, neutralize environmental damage and promote youthful skin. Powerful humectants replenish needed moisture to smooth, soften, and repair your skin. Vital botanicals and organic, aroma-therapeutic essential oils nurture and condition while rich emollients soothe and protect. ph balanced benefits all skin types. 2 oz. ORDER TODAY! Ingredients: Certified Organic Aloe Vera Gel, Botanical Infusion (Chamomile, Calendula, Lavender, Orange Blossom), Vegetable Glycerin, Certified Organic Safflower Oil, Shea Butter, Glyceryl Stearate, Cetyl Alcohol, Green Tea Extract, Certified Organic Lavender Hydrosol, Cucumber Extract, Vitamin C (Magnesium Ascorbyl Phosphate), Co-Enzyme Q10, Natural Vitamin E, Panthenol, Allantoin, Certified Organic Rosehip Seed Oil, Oat Protein, Tamanu Oil (Colophyllum Inophyllum), Certified Organic Jojoba Oil, Vitamin A (Retinyl Palmitate), Organic Aroma-Therapeutic Essential Oils Of Neroli, Lavender, Chamomile Roman, And Ylang Ylang, Sea Kelp Extract, Lecithin, Methyl/Propylparaben, Zanthan Gum. • Pure Aromatherapy Maximum Moisture Cream: (Extra Rich Protection For Dry Skin) Maximum Moisture Cream intensely reconditions and protects your skin's vital moisture balance. Triple-rich plant emollients soften, smooth, and deeply hydrate. Pure premium aroma-therapeutic essential oils stabilize and tone. Botanical and vitamin anti-oxidants help neutralize impact on appearance of skin due to sun and environmental damage, and sustain youthful looking skin. 2 oz. ORDER TODAY! 2 oz. ORDER TODAY! Ingredients: Aqua (Water), Butyrospermum Parkii (Shea) Butter, Persea Gratissima (Avocado) Oil, Glyceryl Stearate, Glycerin, Aleurites Moluccana (Kukui) Nut Oil, Butylene Glycol, Macadamia Ternifolia (Macadamia) Nut Oil, Polysorbate-60, Mangifera Indica (Mango) Butter, Sorbitan Stearate, Squalane Cetearyl Alcohol, Sorbitol, Simmondsia Chinensis (Jojoba) Seed Oil, Panthenol, Phospholipids, Retinyl Palmitate, Sodium Hyaluronate, Sodium Pca, Stearic Acid, Stearyl Alcohol, Tocopherol, Tocopheryl Acetate, Cucumis Sativus (Cucumber) Fruit Extract, Arnica Montana (Arnica) Flower Extract, Anacyclus Pyrethrum (Pellitory) Root Extract, Pelargonium Roseum (Rose Geranium) Oil, Boswellia Carterii (Frankincense) Oil, Citrus Aurantium (Sweet Orange) Oil, Rosa Damascena (Rose) Oil, Lavandula Angustifolia (Highland Lavender) Oil, Allantoin, Ascorbic Acid, Beta-Carotene, Phenoxyethanol, Benzyl Alcohol, Potassium Sorbate, Citric Acid. 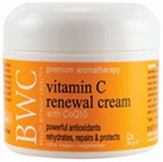 FACE CARE: Vitamin C w/ CoQ10 Facial Renewal Cream, 2 oz. FACE CARE: Maximum Moisture Cream, 2 oz. • Moisturizing Day Cream:Moisturizing Day Cream is a non-oily blend that helps protect and rejuvenate your skin for a healthy revitalized appearance for all skin types. 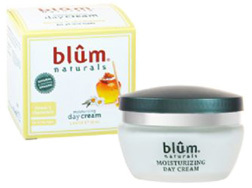 The Day Cream is enriched with natural and organic botanicals to nurture and moisturize your skin. The active ingredients smooth away signs of skin aging with a triple firming action; moisturizing, wrinkle-correction and rejuvenation. Made with Honey and Chamomile to help the process of calming for healthy glowing skin, Aloe Vera Extract which is rich in vitamins & minerals. 1.69 oz. ORDER TODAY! Ingredients: Aloe Barbadensis (Aloe Vera) Leaf Juice, Glyceryl Stearate SE, Cetyl Alcohol, Caprylic/Capric Triglyceride, Xylitylglucoside (And) Anhydroxylitol (And) Xylitol, Propanediol, Gylcerin, Isoamyl Laurate, Dipamitoyl Hydroxyproline, Plukenetia Volubilis Seed Oil (Inca Inchi Oil), Squalane, Isoamyl Cocoate, Butyrospermum Parkii (Shea Butter), Simmondisa Chinensis (Jojoba) Seed Oil, Olea Eurapaea (Olive) Fruit Oil, Tocopheryl Acetate (Vitamin E), Sodium Hyaluronate, Glyceryl Caprylate, Sodium Stearoyl Glutamate, Parfum (Fragrance-Chamomile & Honey), Aqua (Water), P-Anisic Acid, Benzyl Alcohol, Benzoic Acid. 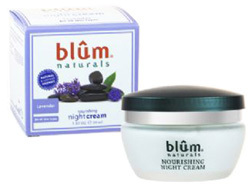 • Nourishing Night Cream: Nourishing Night Cream contains is enriched with natural and organic botanicals that will calm, hydrate and relax all skin types. The active ingredients smooth away signs of skin aging with a triple firming action; moisturizing, wrinkle-correction and rejuvenation. Nourishing Night Cream is made with Lavender helps aid in relaxation and encourage restful sleep, and Aloe Vera Extract is rich in vitamins and minerals. Blended with the richest vegetal oils Omega 3,6 & 9, obtained from Lipactive Incha Inchi oil. 1.69 oz. ORDER TODAY! Ingredients: Aloe Barbadensis (Aloe Vera) Leaf Juice, Glyceryl Stearate SE, Cetyl Alcohol, Caprylic/Capric Triglyceride, Cetearyl Alcohol, Propanediol, Glycerin, Plukenetia Volubilis Seed Oil (Incha Inchi Oil), Dipalmitoyl Hydroxyproline, Isoamyl Laurate, Squalane, Simmondsia Chinensis (Jojoba) Seed Oil, Olea Europaea (Olive) Fruit Oil, Tocopheryl Acetate (Vitamin E), Sodium Hyaluronate, Butyrospermum Parkii (Shea Butter), Saccharide Isomerate, Isoamyl Cocoate, Glyceryl Caprylate, Sodium Stearoyl Glutamate, Parfum (Fragrance - Lavender), Aqua (Water), P-Anistic Acid, Benzyl Alcohol, Benzoic Acid. 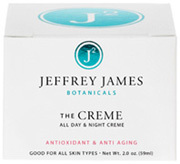 • The Day & Night Creme: The Creme repairs and restores amazingly. Glycolic and Alpha Hydroxy acid increase cell renewal and collagen production. Bee Propolis and Royal Jelly maintain and restore proteins and enzymes for anti aging action, and Amino Acid Protein building blocks for younger skin. Wild Indigo scavenge free radicals and superior organic Plant Oils and Hyaluronic Acid nurture and smooth the skin. 2 oz. ORDER TODAY! Ingredients: Organic Herbal Blend,Organic, Organic Aloe Vera Leaf Juice, Organic SunflowerOil, Glyceryl Stearate, Kosher Vegetable Glycerin, Octyl Palmitate, GlycolicAcid, Organic Coconut Oil, Olive Oil Squalane, Lactic Acid, Isopropyl Palmitate, Cocoa Butter, Cetearyl Glucoside, Stearyl Alcohol, Sodium Hydroxide, Potassium Stearate, Organic Beeswax, Botanical Hyaluronic Acid, MSM-Methylsulfonylmethane, Vitamin C - Sodium Ascorbyl, Cucumber Hydrosol, Royal Jelly, Wildcrafted Resina Propolis, Wildcrafted Mullein, Organic Golden Jojoba Oil, Coenzyme Q10, Phytic Acid, Phospholipids, Wildcrafted Oregon Grape, Wildcrafted Green Tea, Camellia Oil, Organic Avocado Oil, Wildcrafted Eyebright, Helichrysum Essential Oil, Organic Licorice, Lemongrass Essential Oil, Butylene Glycol, Vitamin C Palmitate, Oil of Tamanu Oil, Wildcrafted Wild Indigo, Organic Borage Oil, Organic Flax Seed Oil, Organic Evening Primrose Oil, Organic Rose Hip Seed Oil, Vitamin B5, Wildcrafted Arnica Montana, Organic Lavender, Organic Calendula Officinals, Organic Chamomile, Macadamia Integrifolia, Sclerotium Gum, Benzyl Alcohol, Potassium Sorbate, Lecithin, Limonum, Sugar Cane, Xanthan Gum, Ethyl Hexyl Glycerin. FACE CARE: The Day & Night Creme, 2 oz. • Sea Buckthorn Replenishing Night Cream: Enhance your skin's nightly natural repair process with this advanced all-natural renewal formula. Designed to protect your skin's natural lipid barrier and stimulate your natural skin cell renewal cycle, our Sea Buckthorn Replenishing Night Cream will help reduce the appearance of fine lines and wrinkles while helping to noticeably reduce the visible sun damage. Wake up with intensely hydrated and replenished skin. Designed to protect the skins natural lipid barrier. Stimulates skins natural cell renewal cycle. Gently massage into face and neck in an upward and outward motion. Apply nightly. For all skin types. 1 oz. ORDER NOW! Ingredients: Water, Sd Alcohol 40-B, Glycerin, Cetearyl Alcohol, Behenyl Alcohol, Caprylic/Capric Triglyceride, Cocos Nucifera (Coconut) Oil, Stearic Acid, Polyglyceryl-10 Pentastearate, Sea Buckthorn Seed Oil (Hippophae Rhamnoides), Olea Europaea (Olive) Fruit Unsaponifiables, Phenethyl Alcohol, Sea Buckthorn Fruit Extract, (Hippophae Rhamnoides), Limnanthes Alba (Meadowfoam) Seed Oil, Hydrolyzed Rice Bran Protein, Butyrospermum Parkii (Shea) Butter Extract, Panthenol, Brassica Juncea (Brown Mustard) Sprout Extract, Brassica Oleracea Acephala Sprout Extract, Brassica Oleracea Botrytis (Cauliflower) Sprout Extract, Brassica Oleracea Capitata (Cabbage) Sprout Extract, Brassica Oleracea Italica (Broccoli) Sprout Extract, Wasabi Japonica Root Extract, Glycine Soja (Soybean) Protein, Oxido Reductases, Aloe Barbadensis Leaf Juice, Cucurbita Pepo (Pumpkin) Seed Extract, Hyaluronic Acid, Xanthan Gum, Sea Water, Sodium Stearoyl Lactylate, Sodium Anisate, Sodium Levulinate, Sodium Phytate, Fragrance (from Orange and Lemon Essential Oils). FACE CARE: Sea Buckthorn Replenishing Night Cream, 1 oz. • Night Light Night Cream Oily Skin: This weightless Night Light Night Cream helps recondition the balance by night. It’s light in texture but rich in benefits with highly hydrating Cupuacu butter and Jojoba oil, providing an extra, overnight boost to reduce redness and even skin tone. Send away the red, and blemishes, and reduce the signs of aging with potent oils like Coleus and Neem. 1.7 oz. ORDER TODAY! Ingredients:Water (Aqua), Dicaprylyl Carbonate, Vegetable Oil, Glyceryl Stearate (Plant Derived), Glycerin (Plant), Cocoglycerides (Coconut Derived), Cetearyl Alcohol (Coconut Derived), Butyrospermum Parkii (Shea) Butter, Olea Europaea (Olive) Fruit Oil, Glycine Soja (Soybean) Oil, Persea Gratissima (Avocado) Oil, Argania Spinosa Kernel Oil (Argan Oil), Oenothera Biennis (Evening Primrose) Oil, Hydrogenated Vegetable Oil, Camellia Sinensis Leaf Extract (White Tea), Aloe Barbadensis Leaf Juice, Euphorbia Cerifera (Candelilla) Wax, Sodium Levulinate, Xanthan Gum (Corn Derived), Sodium Stearoyl Glutamate (Coconut Derived), Sodium Phytate, Leuconostoc/Radish Root Ferment Filtrate, Potassium Sorbate, Sodium Hydroxide, Citric Acid. FACE CARE: Night Light Night Cream, 1.7 oz. • Jojoba Oil & Aloe Vera Daily Essential Facial Moisturizer: Daily Essential Facial Moisturizer with the essential oil of flowering Geraniums adds a soft, natural fragrance. Enriched with Jojoba Oil and Aloe Vera to calm, recondition and maintain the soft feel you love in your skin. Helps moisturize skin with regular use and nurture, day or night. 4 oz. ORDER TODAY! Ingredients:Water (Aqua), Aloe Barbadensis Leaf Juice, Glyceryl Stearate (Vegetable Derived), Stearic Acid (Vegetable Derived), Cetyl Palmitate (Plant Derived), Simmondsia Chinensis (Jojoba) Seed Oil, Carthamus Tinctorius (Safflower) Seed Oil, Cetyl Alcohol (Vegetable Derived), Propanediol (Corn Derived), Sesamum Indicum (Sesame) Seed Oil, Glycerin (Plant Derived), Geranium Maculatum Oil (Plant Derived), Lonicera Caprifolium (Honeysuckle) Flower Extract, Lonicera Japonica (Honeysuckle) Flower Extract, Gluconolactone, Sodium Hydroxide, Sodium Benzoate, Potassium Sorbate. FACE CARE: Daily Essential Facial Moisturizer, 4 oz. • Hydrating Retinol Night Creme: Hydrating Retinol Night Cream is enriched with Vitamin A and E, over 72 Ionic Sea Minerals to help moisturize, tighten, and trim your skin. Protect. Best to use in the evening or when the skin may need extra moisture. 100% Vegan. Cruelty Free. Sulfate Free. Gluten Free. Paraben Free. GMO Free. 2 oz. ORDER TODAY! Ingredients: Purified Water, Glycerin, Safflower Oil, Capric/Caprylic Triglycerides, Cetyl Alcohol, Propanediol, Stearyl Alcohol, Xanthan Gum, Cetearyl Glucoside, Glyceryl Stearate, Glyceryl Stearate SE, Glyceryl Stearate Citrate, Sodium Hyaluronate, [Concentrace Mineral Complex Blend], Sodium Ascorbyl Phosphate, Aloe Barbadensis Leaf Extract, Panthenol, Allantoin, Vitamin E Acetate, Retinyl (Vitamin A) Palmitate, Potassium Sorbate, Phenoxyethanol, Ethylhexylglycerin, Fragrance. FACE CARE: Hydrating Retinol Night Creme, 2 oz.